of Venice to offer continued Safe Environment Awareness to all employees and volunteers. The mission of Safe Environment Training and Fingerprinting is to prevent abuse of children and vulnerable persons through education and awareness. 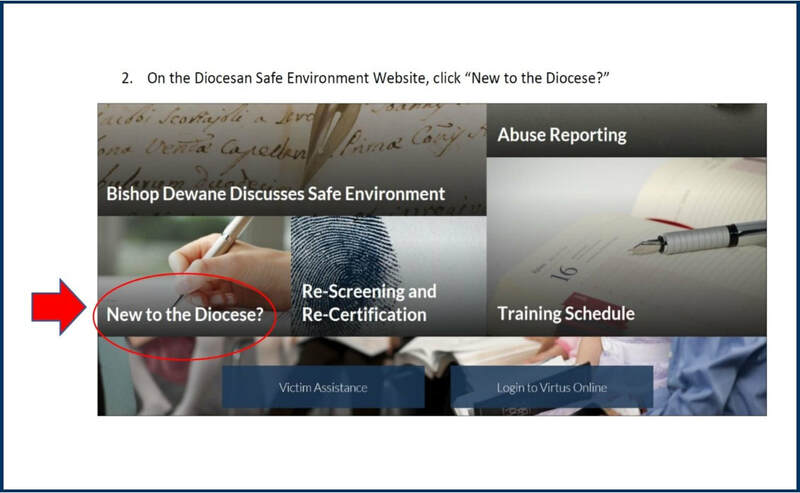 The Diocese of Venice is committed to protecting all children and vulnerable persons. 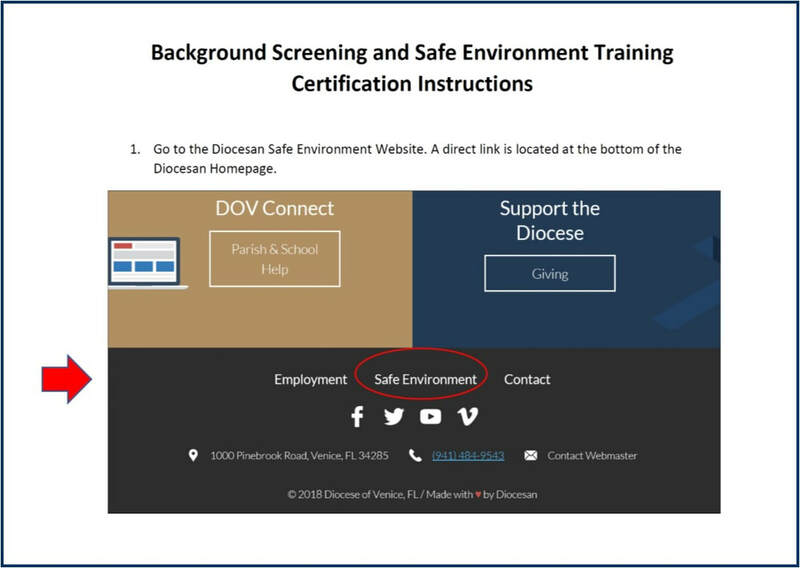 Anyone who wishes to be employed by St. Mary Academy, volunteer in any capacity, or be considered a vendor (substitute teachers or independent contractors) must complete Safe Environment Training, be fingerprinted and cleared by the Diocese of Venice. Please note: There are two different steps you must complete to be eligible to volunteer at St. Mary Academy. 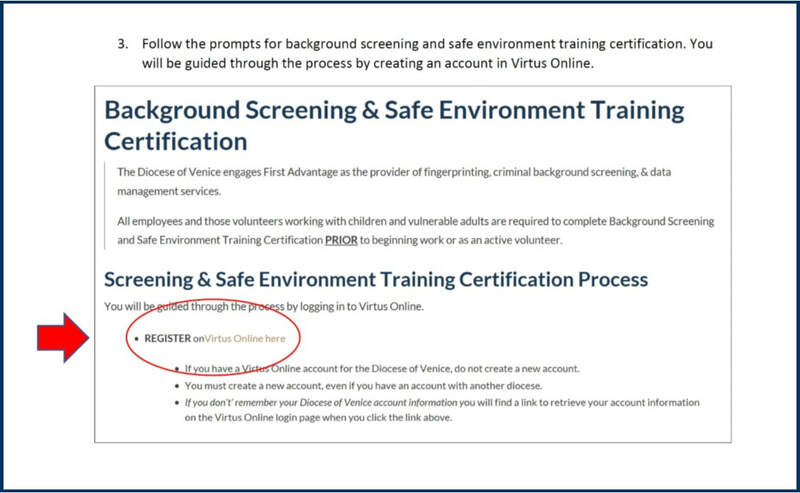 Information on how to register for a Safe Environment training or for Fingerprint procedures are found below. You must use a desktop to register for both steps. You cannot use a mobile device! Please follow the Registration Instructions below. 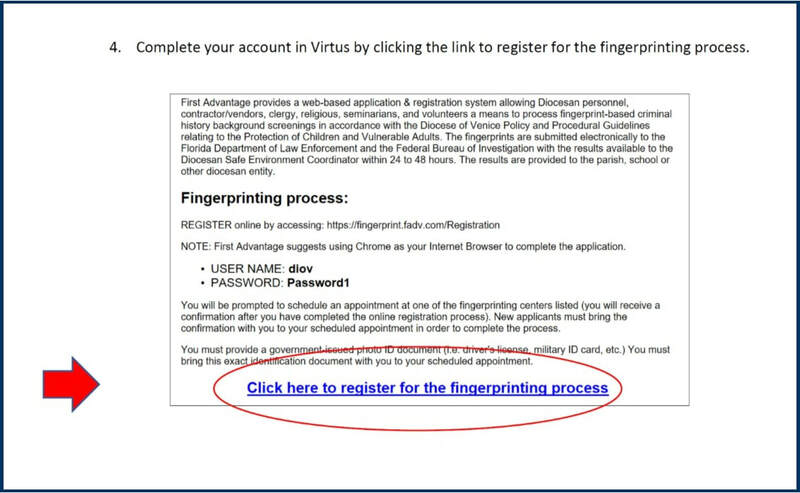 To continue the registration process on VIRTUS Online, please follow the Registration Instructions below. Report all abuses against minors to the Florida Department of Children and Families at 1-800-962-2873. The Abuse Hotline number is 1-800-962-2873. A report must also be made to the Victim Assistance Coordinator of the Diocese of Venice, Susan Benton at 941-416-6114.